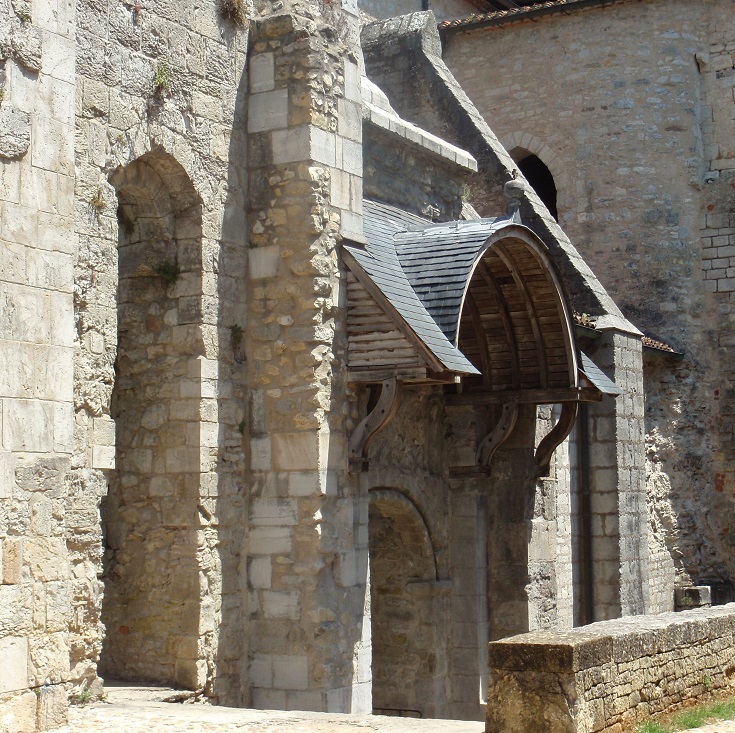 A long time ago, in the tenth century, Benedictine monks arrived in this corner of southern France. They built an abbey in a clearing in the forest beside the Célé River and lived here in peace for four hundred years. In 1368, during the Hundred Years War, the abbey was destroyed by the English invaders. It was rebuilt, only to be attacked again in the sixteenth century during the Wars of Religion. All that remains intact is the Chapter House where the monks met each day. 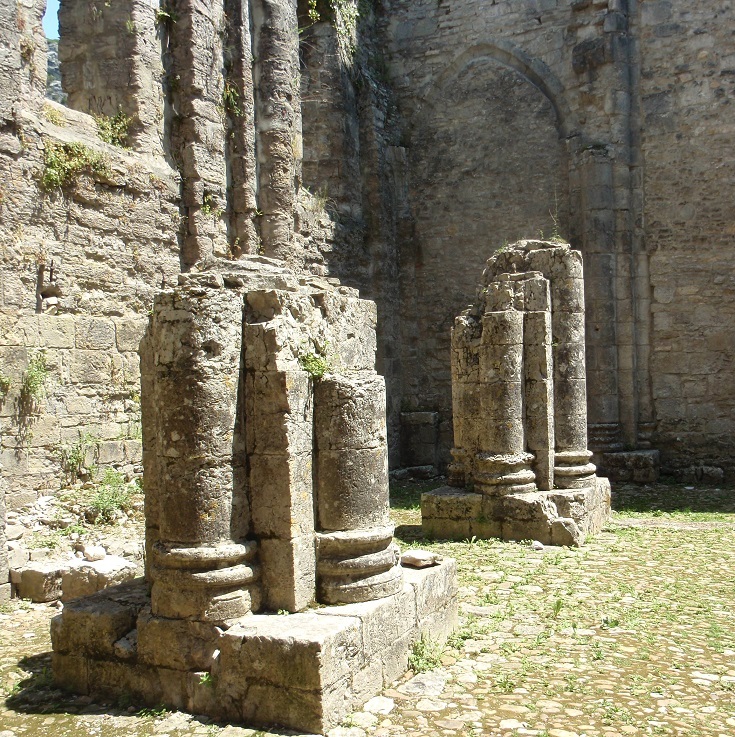 During the summer, guided tours of the ruins (en français) are available from the Tourist Office next door but visitors are free to wander through the remains of the abbey at any time. Before you arrive, download a map of the village Les clefs de…Marcilhac-sur-Célé (or ask for one at the Tourist Office) which will take you on a guided walk past fifteen historical sites and buildings, including the mill built by the monks in the Middle Ages, several grand nineteenth-century homes and the Tourist Office itself which is housed in a fifteenth-century half-timbered home. 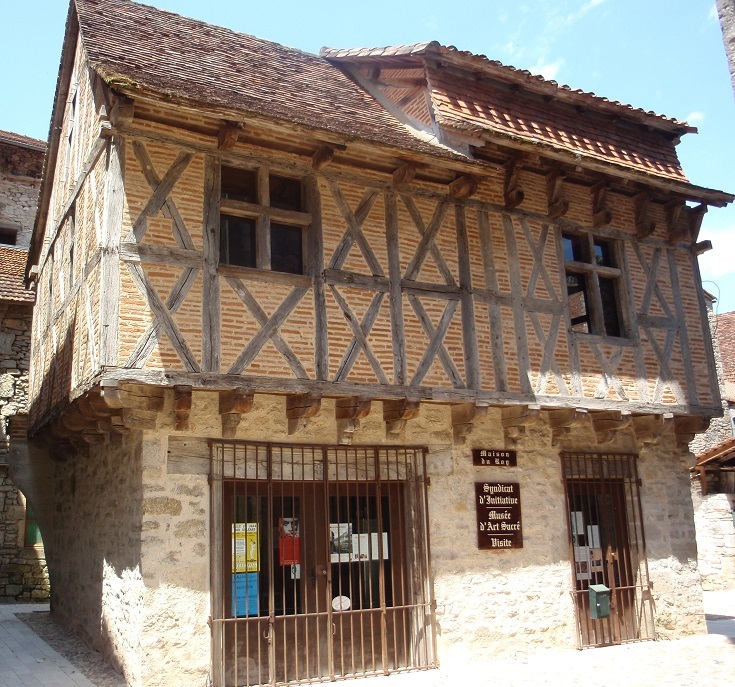 Which long-distance walk visits Marcilhac-sur-Célé? I am sure you would love it! It is a beautiful part of the world and there are so many interesting things to see!